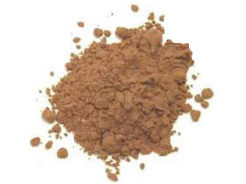 After compressing the raw cacao beans and extracting the fats, we can get the concentrated chocolate powder. Make the cacao beans into a cake by cold-pressing. Remember to monitor the temperature regularly in the process of manufacturing. It is usually 40℃ and never passes 49℃. The cacao butter begins to sift out in this process. The rest of the dry material is cold-ground, fine-milled and sifted. After that, we can get the best finished products through filtering the raw materials. The maximum digestion and antioxidant absorption can go through this process. One thing is important: "our chocolate powder" is different from ready-made powdered drinking chocolate. The latter is combined with chocolate powder, sugar and powdered milk, which can produce a cup of chocolate. If you do not want to taste chocolate smell, you can add batters into the drinking powder. Our chocolate powder can be mixed into all your favorite smoothies, teas, coffee mixes, protein drinks, desserts or anything else you want to drink. You can change any recipe into a fine and healthy chocolate treat only using one or two spoonful.